Got a welder? 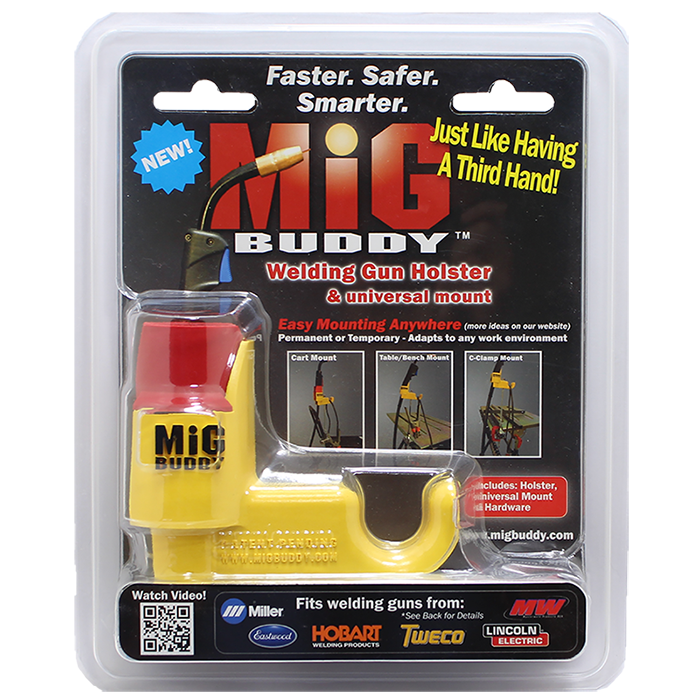 You need a MiG Buddy! So very true. And, I’d add, a frustrating situation that you KNOW can be remedied with that imagination and that pile of junk. At SEMA this year, I spent some time chatting with George Bertolotti, inventor of the MiG Buddy. Didn’t take any salesmanship to see that I needed one of these here at Datsun Ranch. 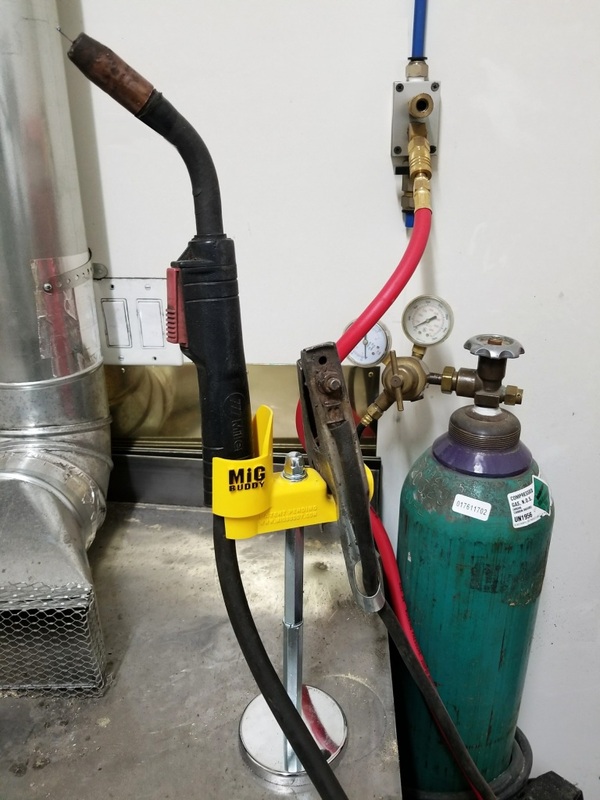 In simple terms, it’s a safe, convenient place to secure your welding gun, keeping it readily at hand and off the floor or workbench. Mine would always wind up in the way, or I’d trip on the cable… Now, with the help of the monster neodymium magnet, mine’s ready to rock on my workbench. You can mount it all sorts of different ways, but this worked best for me. It’s also a great third hand for tip changes (or clipping off a boogered wire), so that’s a bonus. I’ll be getting another one to secure my plasma cutter torch soon. HINT: Christmas is coming soon – Grab one of these for your favorite welder as a stocking stuffer! George has said he’ll extend the SEMA offer of $25 if you enter the coupon code SEMA at time of purchase on the checkout page.